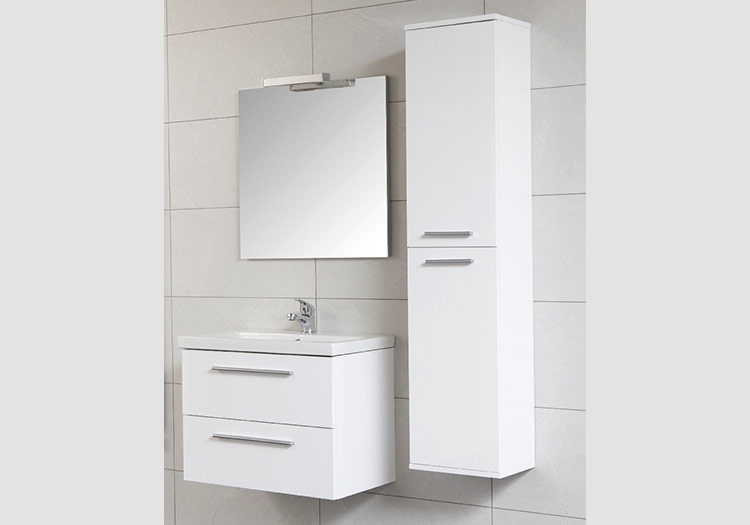 Otto pack includes: Aragon Mirror 60 x 60, 30cm tall unit 2 door W300 x D250, Vanity Unit W615 x D390 2 drawer, choose one of four mono basin mixers. Option to purchase separate items is also available. Also available in Black, Grey and Walnut at an additional cost. Price on application.